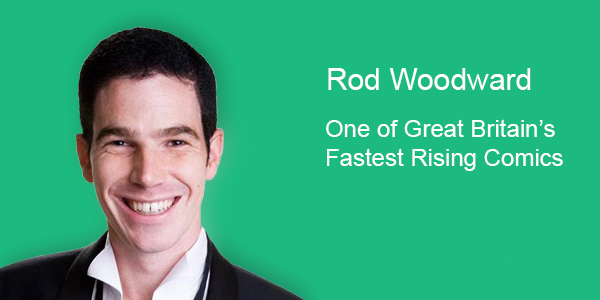 Award-winning comedian Rod is one of the fastest rising comics in Great Britain. He has completed a 110- night nationwide tour with Paddy 'the bouncer' McGuinness from Peter Kay's Phoenix Nights and appeared with Russell Brand at St. David's Hall, Cardiff. He was the winner of BBC's comedy competition 'Funny Business'and his material is delivered with perfect timing. Rod has been in big demand on the corporate circuit for many years and recent successes have gained him much wider public awareness. As one of the funniest Comedians in the country and a brilliant Awards Host, he is the ideal choice for Speaking engagements, Awards Hosting, Conference Dinners and Comedy Nights.